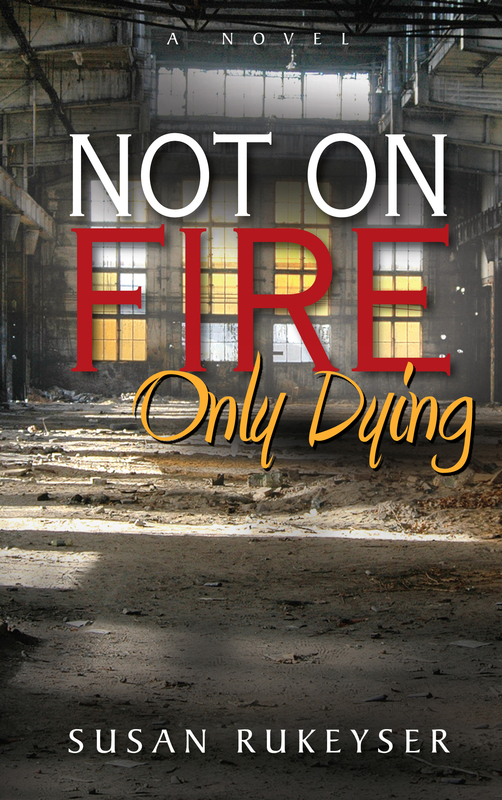 Perhaps the greatest magic trick performed in Not on Fire, Only Dying, the elegant and gritty debut from Susan Rukeyser, is its improbable blend of elegance and grit. Literary fiction disguised as a crime novel—or is it the other way around?—Rukeyser’s New Yorkers are not the irony-addicted denizens of coffee shops and gentrified walk-ups who have peopled so much contemporary literature set in the city. Instead, “towering elms gild the morning’s hard light… several empty storefronts with for lease signs fading in the windows…. There’s a pawn shop. The windows of Lenny’s Swap Shop display trays of tarnished jewelry.” These characters are drug dealers and the mentally troubled, living in a New York more familiar to viewers of classic 1970s cinema, and Rukeyser’s dignified depiction of their lives doesn’t so much blend beauty and darkness as insist they are two sides of the same tarnished, priceless coin. 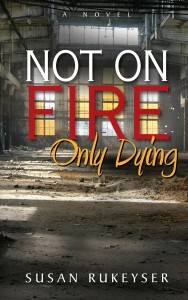 By the time the novel opens, Lola’s infant son is missing. Marco, the drug dealer of Romani descent from whose point of view the novel unfolds, vows to help her find him, and the stage is set for a would-be traditional kidnapping thriller. And while this novel contains enough dramatic thrills to satisfy those looking for them, nothing is spoiled to reveal the novel’s earliest twist: Lola might or might not even have an infant child. Lola does have at least three children besides the possibly missing infant son. All of them stay with her mentally stable sister. But such is the troubled, impoverished life Lola leads that even her sister can’t say for sure if she had ever been pregnant with or given birth to the fourth, possibly kidnapped child. Keeping the mystery mysterious is Lola’s wholly detestable ex-boyfriend, who muddies the truth as well as the plot. His presence provides more traditional tension in a lean story that moves inexorably forward even as its characters constantly look to their own past. Although the search for Lola’s child is handled effectively, Rukeyser’s concerns are more emotional than procedural. The prolonged search for answers allows space for meditations on second chances and reinvention, not only Marco’s but the changing and unchanging sections of the Hudson Valley and East Village he canvasses.